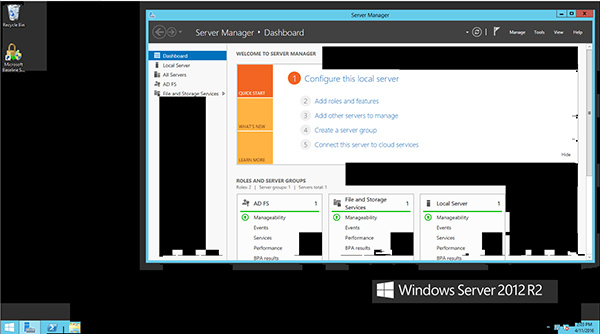 Over the past few months I have had the opportunity to implement Remote Desktop Services in Azure. The strategy of this project was to go beyond a “lift and shift” mentality of an RDS deployment to an infrastructure that will scale on demand and provide for rapid deployment of new resources as needed. In this post I give a high-level view of the RDS services deployed and the Azure services used to support them. I deployed some VM’s using both JSON and PowerShell and enabled Storage Service Encryption to encrypt data at rest. 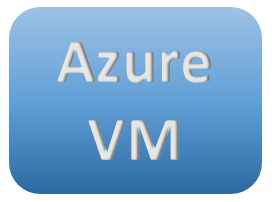 Now I want to enable Azure Disk Encryption (ADE) on these VM’s as an extra level of security. In this post I will go over enabling Azure Disk Encryption with BitLocker on Windows Server. More information on Azure Disk Encryption, including encrypting Linux can be found here. As of today, Microsoft has a few different ways of encrypting Azure data. The options for Azure Data Encryption on servers include Storage Service Encryption and Azure Disk Encryption. Below is a quick summery of each. I took some time off to chase fish on Lake Minnetonka this week and missed Microsoft’s announcement of Azure B-Series are now in preview. The fish were not cooperating so I’m posting about Azure instead. The B-Series VM significance is their ability to “bank” CPU credits during time of low CPU usage and to use these credits during CPU spikes. This will be helpful for test servers that may be idle during off hours or applications servers that have bursty work loads. Any opportunity to save money without impacting performance is good news to my ears. Next, maybe dynamic RAM allocation??? I had a problem this week when connecting to Azure VM’s. When connecting by RDP parts of the screen were blocked out by black squares and rectangles like the image below. This only happened when connected to Azure VM’s, I did not have the problem with VM’s in any of my other datacenters.